Affecting over 1.1 billion people globally, lack of safe, clean water is gradually metamorphosing from challenge to problem. According to findings, this problem has become prevalent in low and middle-income countries; a great number of them in Africa. The situation of water stress in Africa is alarming and has brought in its wake a myriad of consequences such as increased epidemic outbreaks, drought and food insecurity to name a few. While the global population of people with access to improved drinking water sources witnessed considerable increase over the years, it is estimated that by 2030 over 200 million people in Sub-Saharan Africa alone will inhabit areas with a high level of water stress. Today, this region accounts for about 40% of the water stress globally. 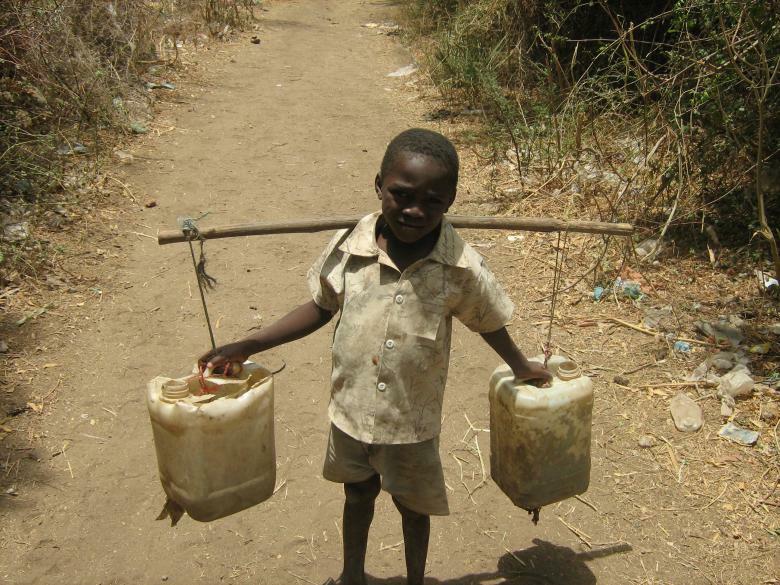 Many have argued that the unavailability of clean water is a root cause of poverty. Throughout the continent, more time has been spent on working on survival without than on labour and productivity. According to UN estimates, about 40 billion hours is spent per year collecting water. Furthermore, lack of access to this invaluable resource has plunged communities into drought and widespread hunger. Albeit it is quite unfortunate, it is also safe to say that the world has become a nightmare for African women and children surviving without water. The United Nations estimates that women and girls are responsible for about 80% household water collection in areas where there is lack of access to improved clean water sources. Even worse, poor sanitation is contributing in no small measure to the appalling state of water for this vulnerable population, with a significant proportion of waste water channeled into the continent’s rivers and lakes. As a result of this and other factors not excluding climate change, over 1,000 children die of water related diseases like cholera and diarrhea on the continent on a yearly basis. Lasisi, 58, a local drug store owner who resides with his family in Araromi, a rural community in Lagos explained that the water situation for many years has been rather unfavourable owing to a general lack of social amenities particularly with regards to generating clean, potable water. “Water is our major problem here. So far we have had to travel some distance to get water from neighbouring communities, and sometimes we encounter problems due to water shortage in some of those areas. The troubling part is that our community has suffered long enough from water-borne diseases. At some point I used to receive 5-6 people in a day, particularly between the ages of 11 and 15 requesting medication for diarrhea and cholera. I had been thinking of relocating with my family until we got information that some people are coming to help us out by drilling boreholes, and today we are happy. Indeed water is life”, he asserted. Lasisi believes that if not for interventions such as those undertaken by ACT Foundation and its partners in his community, many more children will die from water-borne diseases. However, with the installation of boreholes in his community, he can be confident of a safer future for the next generation. In line with the United Nations sustainable development goals (SDGs), key players within the development sector have set out on a mission to change the story of water on the continent. While SDG 6 calls for sustainable management of water and sanitation, SDG 17 recognizes partnership as critical to achieving any goal. Building on this platform, a partnership between ACT Foundation, one of Africa’s foremost grant makers, and Hacey Health Initiative has resulted in the provision of access to water in several underserved communities. Through the course of the project, the partners have successfully replicated sustainable clean water projects in over 30 African communities; even as they plan to do more to dramatically improve Africa’s state of water. More so, the Clean Water Initiative birthed through this partnership takes a step further to build capacity on water and sanitation management in these communities. Osayi Alile is Chief Executive Officer at ACT Foundation and together with her team of changemakers is determined to bring potable water to communities in Africa. “One may not be wrong to say that water is the greatest gift of nature to us after life itself. We recognize the large deficit in accessibility of clean, safe water particularly in low-income, sometimes marginalized communities. The long term vision for us is to ensure that water is not reduced to being a scarce commodity, but should instead serve its need for everyone regardless of perceived social differences”, Ms. Alile said. So much work needs to be done to make access to clean, safe water a reality. Many communities do not only suffer from lack of access to improved water sources, but also have to endure the challenge of sustainability. “We have come to see how much work is yet to be done to make this a reality, but with our investment in partnerships we know it is not impossible. More so, we are aware that increased investment in water, with a focus on sustainability will help improve the situation significantly. Our grantee, Hacey Health Initiative has been very instrumental to this endeavour, and we have huge faith in the impact we will deliver”, she concluded. Through grant making and partnership, ACT Foundation has successfully created noteworthy environmental impact. With a pronounced focus on water, sanitation and waste management, the foundation aims to proffer sustainable solutions to improved access to water for Africans. Established in 2016, Aspire Coronation Trust (ACT) Foundation is a grant making nonprofit committed to addressing challenges associated with social development on the African continent.